I am just going to link to ThankYouDonald and let the posts speak for themselves. Thank You, Donald. 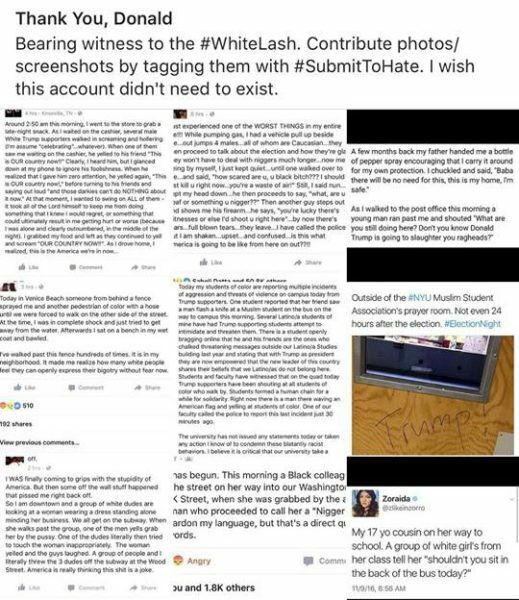 Bearing witness to the #WhiteLash. Contribute photos/screenshots by tagging them with #SubmitToHate. I wish this account didn’t need to exist. I wish this account didn’t need to exist, either. Previous Previous post: The 2016 US Election is over. What is your reaction?